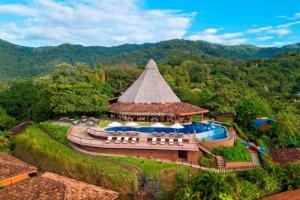 Renowned among the best eco-luxury beach resorts in Costa Rica, Hotel Punta Islita is a unique and engaging destination that connects guests with the vibrant culture and legendary landscapes of its surroundings. With a secluded setting along Costa Rica’s Guanacaste coastline, the hotel affords a tranquil escape. The locally inspired decor creates an engaging tropical fusion design, seamlessly blending indigenous and Spanish-colonial styles. Explore the sights and sounds of the area with the Authentic Costa Rica program, featuring immersive cultural activities and tours.